Your monthly energy costs are obviously going to be higher during the months where you’re using your air conditioner every day. Still, you should keep an eye on them and maybe call a technician if they start to seem like they’re higher than they should be. As an air conditioner ages and wears down, it will start to lose efficiency when it comes to cooling output. As the ability of the system to cool the home drops, it will have to work for longer periods of time in order to make the same temperature changes. You may not notice this longer operating time at first, but you probably will notice the effect it has on your monthly bills. Make sure that you call a technician to examine your system if it is doing this. Need to repair your air conditioner every few years? Not a big deal. Need to repair your air conditioner every few months? Very big deal. 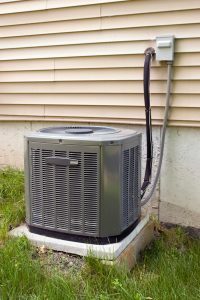 Air conditioners that need to be repaired that often are typically so old and worn out that the parts inside them are beginning to fail in groups. This will only get worse the longer you insist on using the system. You can replace the system one part at a time over the next several years, or you can replace the entire system now and save a lot of money in the long run. The typical air conditioner will last around 10-15 years before it starts to accumulate serious problems. The longer you use it past that point, the more issues it’s going to accumulate that increase its operating cost. If your air conditioner is older than 15, we highly recommend that you consult with a professional technician about whether or not now would be a good time to replace it. You might be able to get a couple more years of use out of it. Then again, you might save a lot more money if you replaced it as soon as possible. You’ll need to consult with a professional HVAC technician to find out for sure. Climate Masters provides comprehensive air conditioning replacement services throughout St. Augustine, FL. If you need air conditioning replacement services, contact us today to schedule an appointment with one of our professionals. We’ll make sure that you get the best air conditioner for your needs.